Alfred Hitchcock has been the subject of a great deal of press coverage recently, owing to the fact that he is the subject of two interesting looking biopics - Hitchcock (concerning the production of Psycho) and The Girl (which looks into Hitch's obsession with Tippi Hedren). It's somewhat appropriate, then, that I started off my week with the great director's penultimate film, Frenzy. The film is set in an early '70s London which has now long since departed - and to be honest, without being an expert on that period in history, it seems more based on Hitchcock's impression/ recollection of the city that he grew up in, rather than being an accurate reflection of the way London was at the time. The plot is a mixture of two classic tropes from other successful Hitchcock movies - we simultaneously track the actions of an unrepentant serial killer (the "neck tie murderer") as well as an unfortunate chap who is constantly in the wrong place at the wrong time and is consequently the prime suspect for the killings. While it isn't quite Hitchcock at his absolute best (some of the acting is a little hammy), I still thoroughly enjoyed this one. The plotting works like a well oiled machine and there a number of brilliant directorial flourishes. I particularly liked the way that Hitchcock panned away from the scene of a murder, out through the front door, then held the camera on the everyday scene on the street outside. While the viewer is aware that something ghastly is taking place at that very moment, the passers by are completely oblivious - until the tranquility of the street is shattered by a terrible scream. I'm going to continue to catch up on Hitchcock next week by watching the 1955 Cary Grant/ Grace Kelly picture 'To Catch a Thief". Moving on to a new release which I saw at the cinema this week, David O Russell's latest effort, Silver Linings Playbook. It's a kind of strange hybrid of comedy, drama and love story, with Jennifer Lawrence and Bradley Cooper playing a fetching, but mentally unstable pair who find themselves drawn to one another as they attempt to rebuild their lives. The film has attracted a large number of favourable reviews from critics in America, as well as quite a bit of early Oscar buzz - so I was intrigued to see whether it lived up to the hype. Although the movie had it's moments, I wasn't terribly impressed with it. For one thing, the balance of humour to drama was a little off. There are a few laughs here and there, but it never really gets going as a comedy, and equally, the humourous elements mean that it's kind of hard to take seriously as a drama. Though the two main characters are interesting and the film has strong lead performances from Bradley Cooper and Jennifer Lawrence, the supporting characters - including an NFL obsessed father, a wisecracking former mental patient and a wacky psychiatrist - all feel very artificial, which meant that it was difficult to care too much about the fate of the central characters. Finally, the ending - involving a dance contest - was all very syrupy and predictable. Despite the above reservations, as I've mentioned, Cooper and Lawrence are both very good, so I wouldn't be too surprised if they received a nomination or two for their performances at the Oscars next year. Finally, we have The Ice Harvest, a crime drama starring John Cusack and Billy Bob Thornton. It's a film in a similar vein to A Simple Plan, Blood Simple and Fargo - two unscrupulous characters hatch what they think is a simple plan to relieve a local criminal bigwig of a couple of million dollars. Sadly for them, they're stranded in icy cold Wichita on Christmas Eve, and need to wait until the morning before they can make off with their loot. As ever in this kind of picture, keeping hold of the cash is a tricky, bloody business, and the pair need to keep their wits about them to make it through the night. I'm a sucker for this kind of movie, and while it probably doesn't bear comparison with the Coen brothers' efforts in this genre (the supporting characters aren't as well drawn, and the script isn't quite as sharp or witty), The Ice Harvest is well worth a watch. 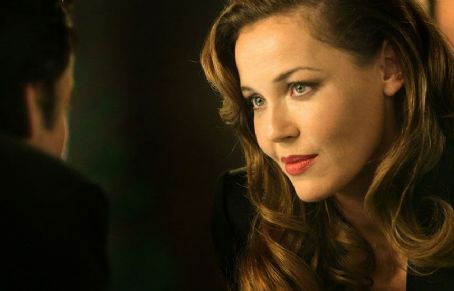 John Cusack and Billy Bob Thornton both give solid performances as two very different men (Cusack's character is twitchy and conscience-stricken, while Thornton's is cold and ruthless), but for me, Connie Nielsen steals the show as the femme fatale who comes between them. By the way, I'm aware that I haven't put a list together for a while - this is something which I'm aiming to rectify in the near future. However, I did see this interesting list at the AV Club today. I completely agree with them on their first pick - as I think I mentioned in my review of Cabin Fever the other week, Enter The Void is only a fair to middling film, but it has probably the best title sequence I've ever seen. It's a bit like being strapped to a chair facing a flashing neon advertising hoarding and then being repeatedly punched in the face - but in a good way. 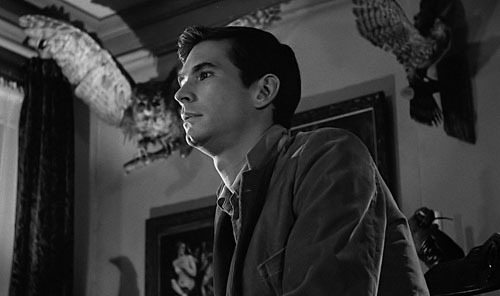 "Norman Bates: We all go a little mad sometimes."